Home » Blog » Child Custody » Will Tennessee Legislators Pass the Uniform Deployed Parents Custody and Visitation Act? Will Tennessee Legislators Pass the Uniform Deployed Parents Custody and Visitation Act? Will Tennessee’s legislators consider some form of the Uniform Deployed Parents Custody and Visitation Act to address child custody issues raised with military deployment? Established in 1892, the Uniform Law Commission (ULC) drafts uniform laws for individual state adoption. For example, the ULC is responsible for writing the Uniform Child Custody Jurisdiction and Enforcement Act (UCCJEA) and the Uniform Interstate Family Support Act (UIFSA), both of which were adopted with changes in Tennessee. The “uniform” aspect of these laws provides greater consistency from one jurisdiction to the next; harmonizing, simplifying, and standardizing state laws to a significant degree. This predictability in the law is particularly important when the subject matter relates to child custody and child support. The ULC’s uniform statutes are typically amended before adoption as state legislators debate and modify the language to suit their jurisdiction’s needs and objectives, often repealing existing statutes in the process. At the ULC’s 121st Annual Meeting at Nashville in 2012, the Uniform Deployed Parents Custody and Visitation Act (UDPCVA) was approved. As of this writing, North Dakota and North Carolina have already enacted the UDPCVA. This child custody legislation has been introduced in Nevada, Colorado, and the District of Columbia as well. Will Tennessee be the next state to consider protective legislation for deploying military personnel and their families? State custody laws can represent a hodgepodge of rules that may effectively punish military personnel who are deployed or re-stationed, something that occurs frequently and is part of the service member’s job description. 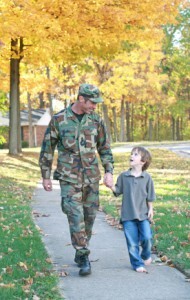 The UDPCVA addresses a widespread child custody problem for active duty military. In general, too many states’ custody and visitation laws address the needs of civilian families, but may actually be punitive when applied to the circumstances of military parenting. For the most part, civilian parents pursue remedies and seek relief through the courts without undue delay or inconvenience. For deploying service members, child custody, parenting time, child support, access and visitation issues present challenges that are quite different from those facing civilian families. Mainly, when ordered to active duty there is insufficient time to address all child custody matters through standard family court proceedings (after all, time is of the essence when deployment means immediate mobilization). With sudden notice and orders to deploy, military parents must take action to depart immediately. 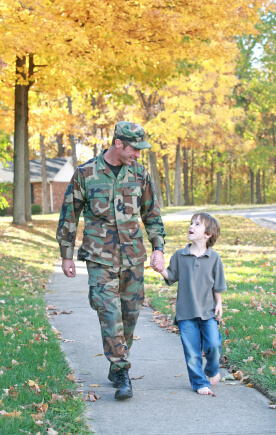 Many state custody and visitation procedures are too cumbersome to address the immediacy of these military circumstances and service members’ parental rights are often negatively impacted. ● To arrange decision-making authority during deployment (decision-making authority refers to the power to make important decisions over education, religious training, health care, and the like, but does not include day-to-day child care decisions). ● To prohibit the court’s consideration of a parent’s past deployment or possible future deployment exclusively in deciding what is in the child’s best interests for purposes of child custody. Although the key provisions noted above are part of the ULC’s approved version of the UDPCVA, the final version as adopted by any state may vary considerably. 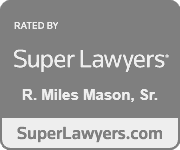 Memphis military divorce attorney Miles Mason, Sr., practices family law exclusively and is founder of the Miles Mason Family Law Group, PLC. 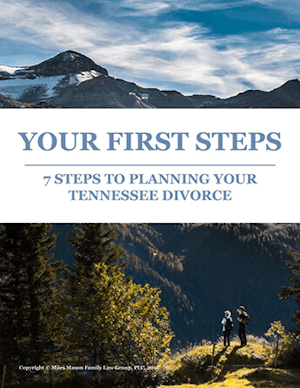 Check out The Tennessee Divorce Client’s Handbook: What Every Divorcing Spouse Needs to Know, available on Amazon and Kindle. 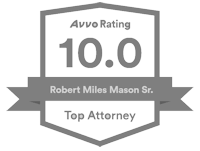 To schedule your confidential consultation, call us today at (901) 683-1850.